Outdoor Wednesday and Wordless Wednesday too. On the doormat as I stepped onto the back patio. He has his head buried and his rattles at the ready. OH my gosh!!! Have you stopped shaking yet? Ay yi yi !!! Has your heartbeat slowed? Oh Lord! Aren't you glad you didn't step on him? Whew! Better you than me, lol. I like most critters but snakes... EEWW! Wow!! I have a friend that has a spade by the back door so she can walk to her car. THOSE SNAKES LOVE THAT NICE DRY GRASS AND OAK TREES. I'm happy you are ok. You even got a picture. LOL. Oh my! 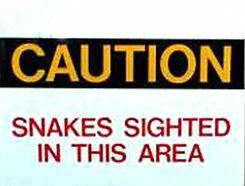 I live in NYC and we don;t see snakes. We see lot of other things but no snakes..lol! I don't think my heart would stop beating to write that post! That is scary! 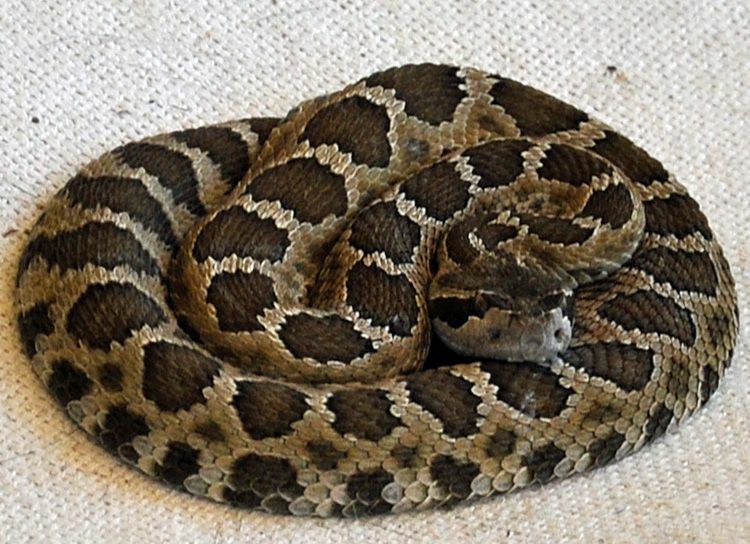 Was this horrible snake for real on your porch? If so, that would have scared to to death. I hate them. oh my goodness--I would have ran away--fast! You are so right, no words are needed-just one scream!!! OMG~!! You are SO lucky you saw him first. I have goosebumps. Yuck I hate snakes. Oh H to the No on that! lol Yikes! I don't think I would have thought to grab the camera after seeing him! Glad you saw him first! Happy WW! Yikes, I would be shaking while taking that shot. Good job! Aaaargh! I can accept seeing them out walking in the bush, but DON'T come near my home! Oh my Goodness! I would have screamed so loud that snake would have bitten me! I do not like bugs, snakes, or anything that crawls except Ladybugs. I'm SO ready for your Holiday tables, I can't stand it. OMG...just looking at that photo made me shiver...my biggest fear is snakes. Beautiful but dangerous. 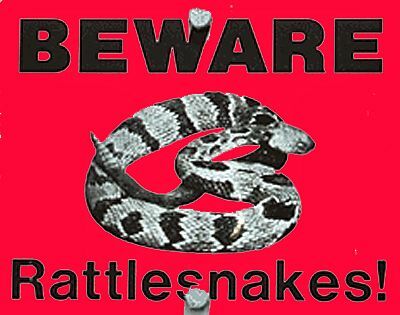 Snakes do not bother me but I do have a healthy respect for the venomous varieties. Great photo! Glad he did not strike you when you disturbed him. We have those guys down in the dry river bed a few yards away but I have never seen one in the yard. We have come across them when we walk and they always make me nervous. I don't know how I would re-act to one on ethe patio! Yes LV, that snake was really on the doormat on the back patio! This bad boy was quickly dispatched with my Red Handled killer shovel. They have all our land OUTSIDE the garden wall to play in, but I draw the line at them inside the garden wall where I garden, my kitty plays and my grandkids roam. Hook Up Your Hutch Party!